CINCINNATI -- By now you’re well aware of the social media backlash Nike is facing after its decision to use Colin Kaepernick as the face of its latest advertising campaign. Many fired up sports fans and critics are taking a match to their Nike gear in protest . Nike chose Kaepernick to promote the 30th anniversary of its "Just Do It" advertising campaign. 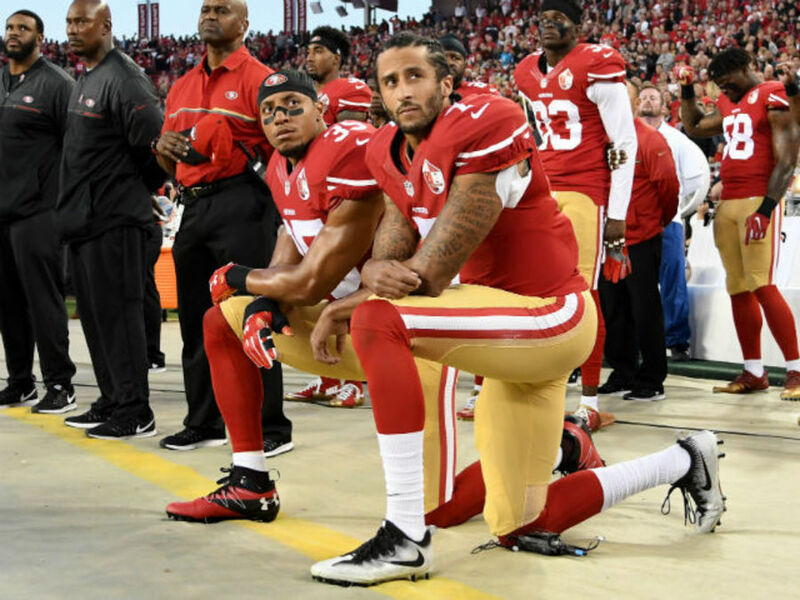 Last year, the former San Francisco 49er began kneeling during the National Anthem to raise awareness about police brutality against African-Americans and other racial injustices. Dozens of other players began joining him. On Tuesday, at least one Cincinnati City Councilman suggested to those burning Nike attire, to donate the clothing items instead. In a tweet, P.G. Sittenfeld said anyone finding themselves uncomfortable in their Nike gear should drop off the items at Cincinnati City Hall. Sittenfeld said he, or one of his team members, would drop off the donated items to Cincinnati students.